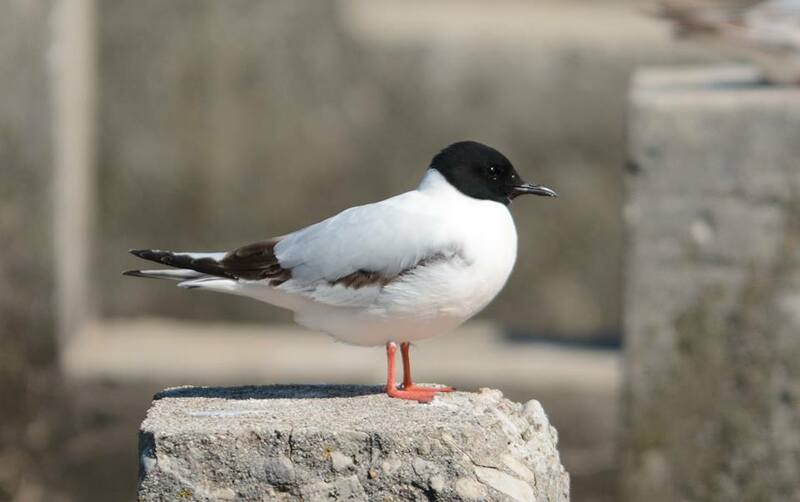 May is generally a good month to find Little Gulls along the Lake Michigan shoreline in east-central Wisconsin. Lakefront cities such as Sheboygan, Manitowoc and Two Rivers usually harbor one or two summering individuals. Most of these birds are 1st summer individuals, lingering back with the small flocks of sub-adult, non-breeding, Bonaparte's Gulls. 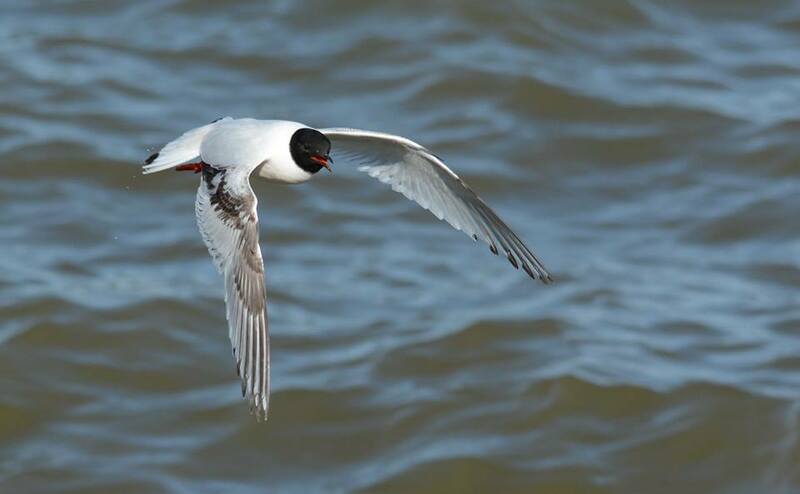 For the last 3 years or so, this species has been rebounding on the WI lakefront. 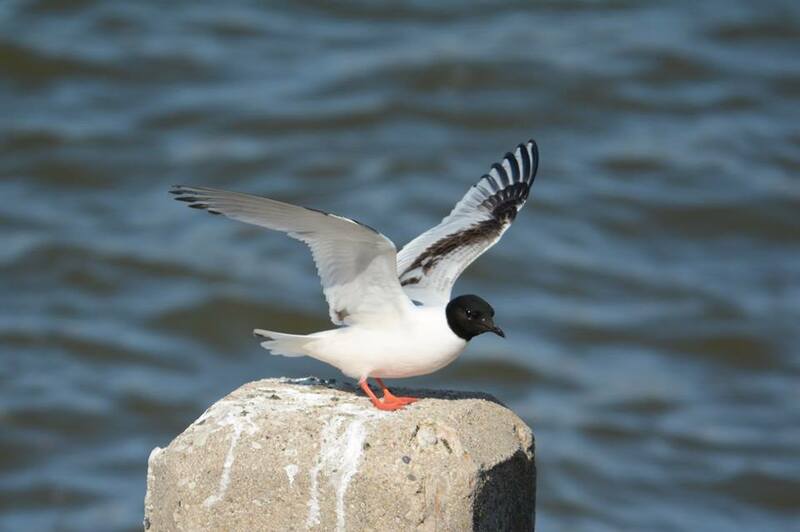 First summer Little Gull (1st cycle). Manitowoc, Wisconsin; 24 May 2014. This is by far the fullest hood I've seen on a first cycle Little Gull. A small percentage of 1-year old birds do show adult-like hoods in their first alternate plumage. A fiesty bird, this one was relatively big and did not take being pushed around by the surrounding Bonaparte's. It was very skilled at fishing, and gulped down 3-4 shad in the few hours that I observed it. 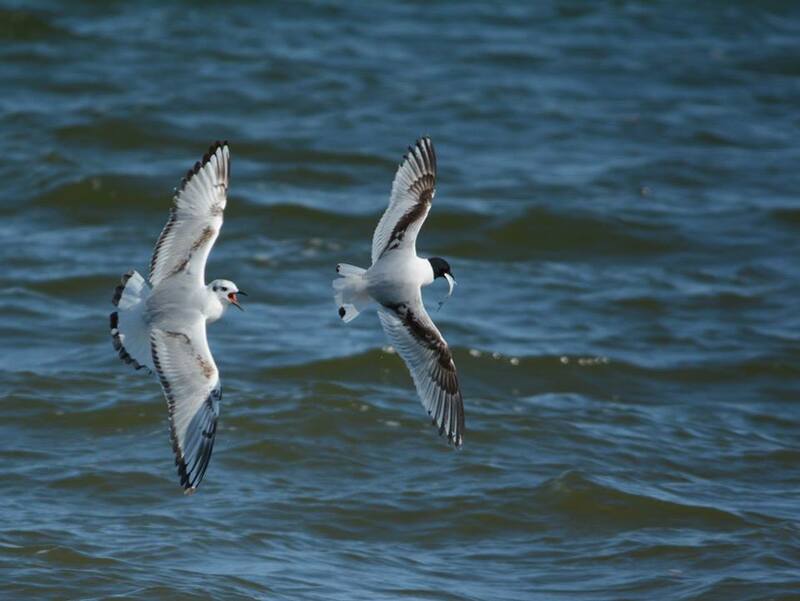 Bonaparte's Gull in hot pursuit of this agile 1st summer Little Gull. Beside this beauty, I was also able to record 2 Laughing Gulls (adult in Milwaukee and 2nd cycle in Sheboygan), 4 Franklin's Gulls (adult in Milwaukee, adult in Sheboygan, adult type in Manitowoc and adult type in Two Rivers), and 6 Lesser Black-backed Gulls (all first and second summer birds in Sheboygan). 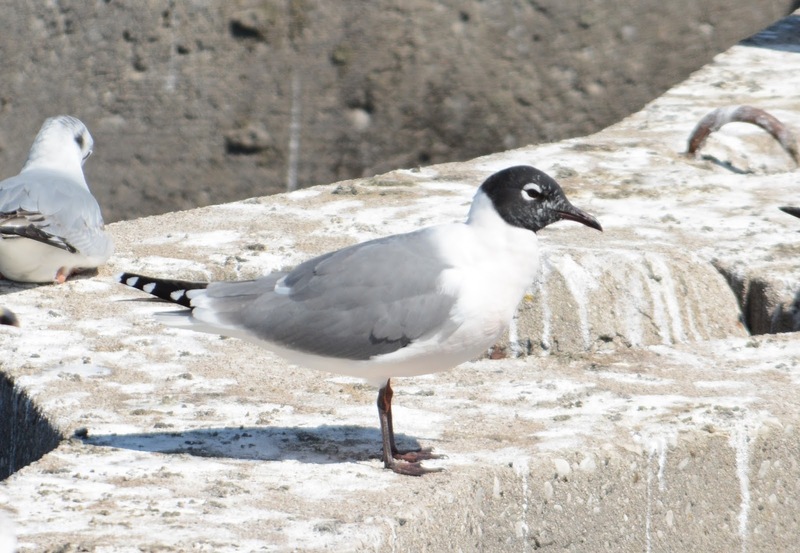 Franklin's Gull (adult type). Manitowoc, WI; 24 May 2014. Today, May 27, 2018, identified this bird on Hunter Lake, part of the East Fork of the Chippewa River!